Abello was the courageous solitary figure who appeared on the beach of Tolosa, Leyte, and signaled using semaphore flags to the U.S. forces aboard the ships offshore that civilian lives were endangered by their impending bombardment. After reaching the ships on an outrigger banca paddled by two friends, Abello pointed out the Japanese artillery emplacements and defensive positions sparing many civilian settlements and populations from destruction by American Naval bombardment. 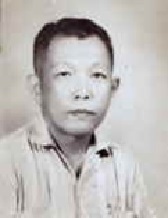 Valeriano Ibañez Abello was a Filipino who was given the Philippine Legion of Honor for his efforts during WWII to aid American troops against the Japanese. He is most remembered today in Boy Scouting literature. During the United States Navy’s assault on 17–20 October 1944 in the Battle of Leyte, Abello (aged 29), accompanied by Antero Junio and Vicente Tiston, successfully established communication with a warship using his knowledge of semaphore, learned in youth as a Boy Scout of Troop 11, Leyte, Boy Scouts of America. As the battleships started prepping up the waters to clear possible mines, and with their volume of fire moving towards the shore, Abello, a civilian and a former boy scout ran on top of a hill with improvised semaphore flags made of white cotton diapers. The shelling was creeping towards the town of Tolosa, where hundreds of refugees were seeking shelter in the town’s parish. The firing stopped and a signal officer from one of the ships asked him through semaphore signal to identify himself. Abello promptly identified himself as “Boy Scouts of America”, This was reason enough for the Americans to decide that the man was “friendly”. He was asked to go to the nearest ship. Abello complied and with the aid of two other men paddled out by bangkâ (outrigger canoe), The Japanese soldiers who saw Abello signaling to the Americans started sniping at him and the men in the Bangka but missed their mark. Abello was taken aboard ship 467, and with his excellent map reading skills and familiarity of the place, provided information by pinpointing Japanese installations and diverting bombardment away from populated areas of Tolosa. Abello’s intrepid action made good copy for war correspondents on board the ship. An attempt by relatives to have him buried at the Libingan ng mga Bayani / Heroes’ Cemetery failed, but a monument in his honor stands at Telegrafó, Tolosa, Leyte. He is remembered on “Signal Day,” 18 October, in Leyte.